Day Bridge lovers aren't necessarily an age group. Nor a psych-socio-graphic, They simply have different needs. 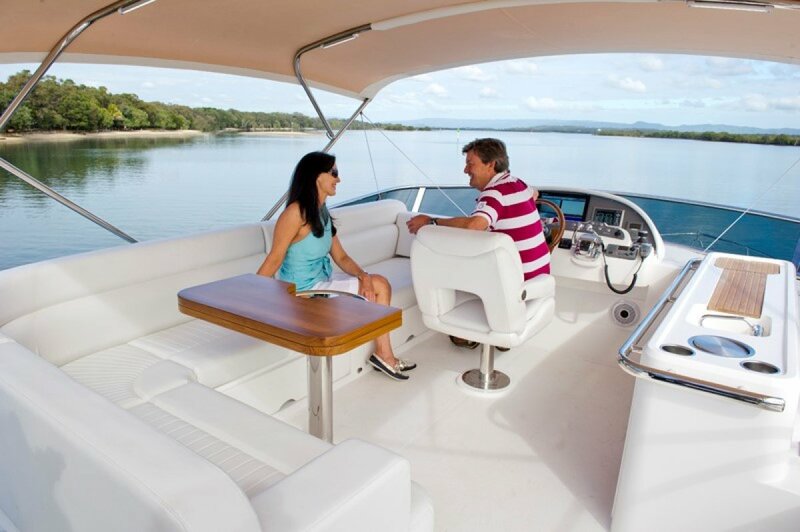 They may be more traditional boaters keen to embrace the outdoors and the weather in all its moods. They will relish the wind-in-the-hair and sun-on-the-face experience that a Day Bridge affords. They could just as easily be parents, or grandparents, who welcome an extension to the main entertaining area, or a separate fun space for children. And those living in higher latitudes, where every warm moment of a very short season is seized upon, will find it an ideal way to make the most of it. 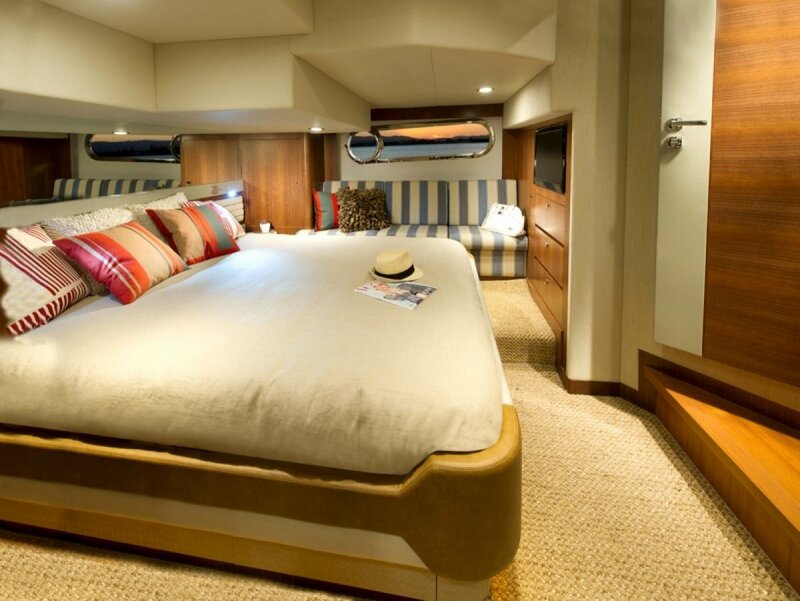 Both boats' main decks are identical as far as saloon, galley and accommodation areas. On the Day Bridge, though, an elegantly curving deep-tread staircase leads up from the cockpit. 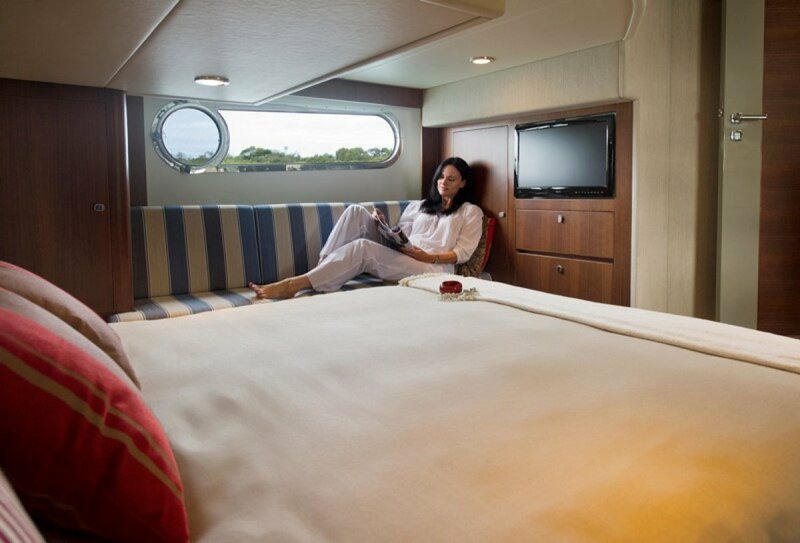 Every bit as sociable as the main saloon, the Day Bridge area has a large L-shaped lounge and hilo table that can drop to create a second sun pad. 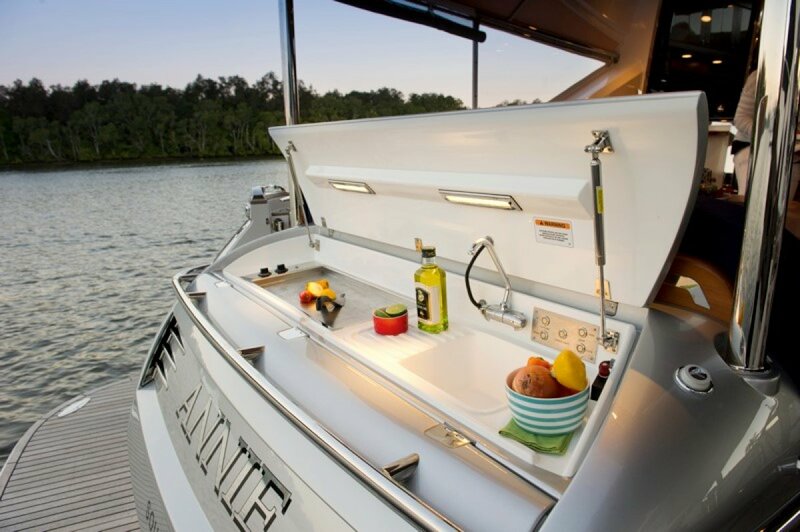 Opposite is a wet bar with sink and fridge. And a second station acts as a day helm and offers the essential navigation aids. 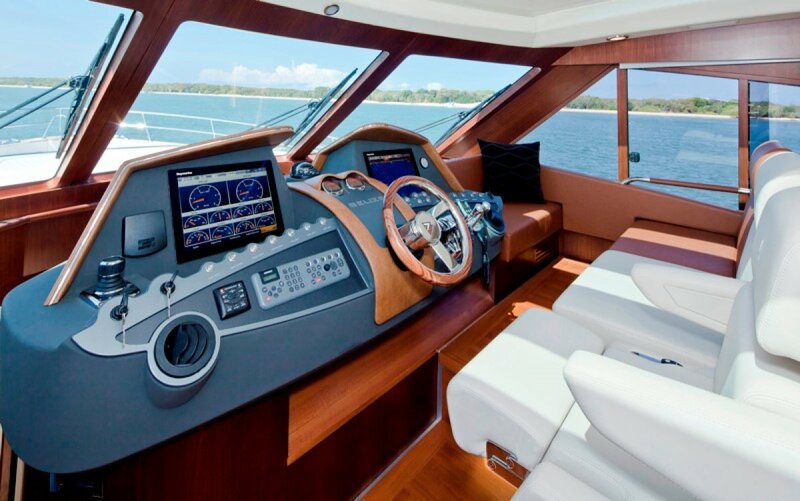 Obviously a bimini can be added, but full clears are probably unnecessary. 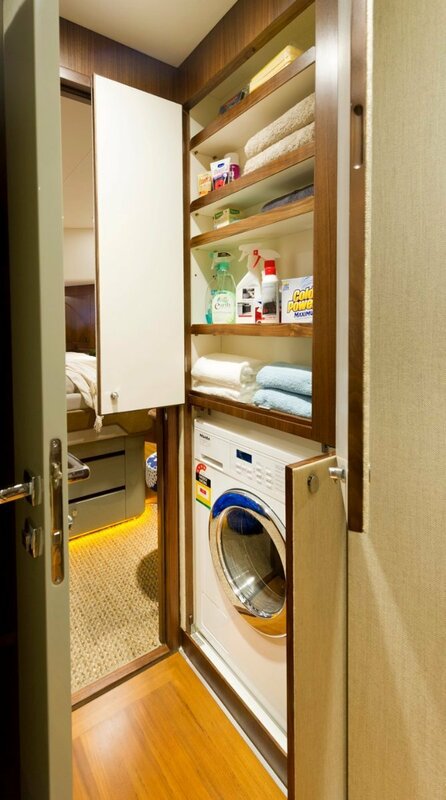 When weather becomes too hot, or cold, the Day Bridge cover can be snapped on, the stair-ladder hatch closed and a retreat made to the cosy protection of the lower saloon and main helm. 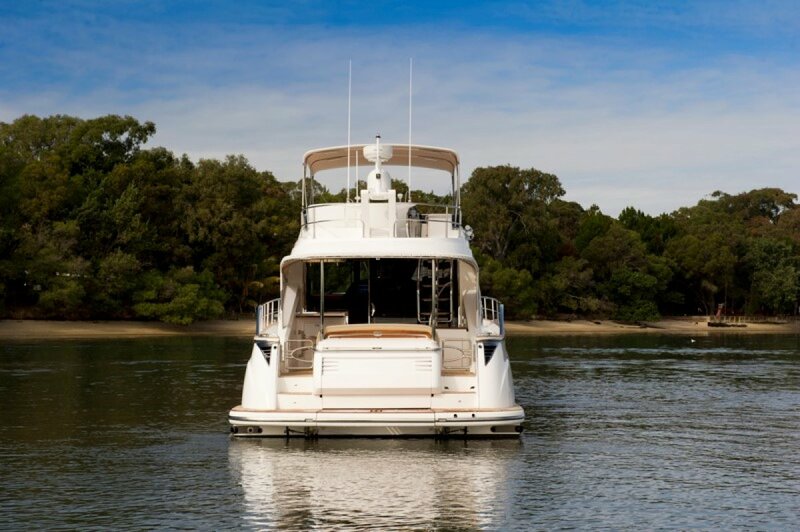 That unique wind-in-the-hair and sun-on-the-face boating experience came alive when the stunning new Belize 52 Daybridge made her world debut at the Sydney International Boat Show. 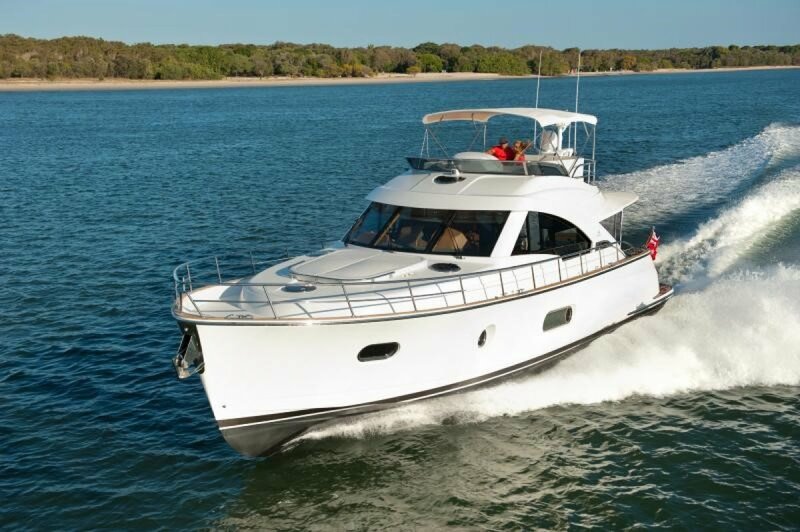 Following on from the considerable success of the new Belize 52 Sedan, Riviera-owned Belize Motoryachts impressed boating enthusiasts with the new 52 Daybridge recording three sales at the show. 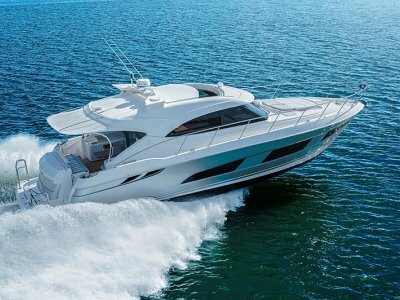 "This new model features an elegantly curving deep-tread staircase leading from the cockpit up to the Daybridge where the open-air feeling makes for an exhilarating boating experience, " said Belize Motoryachts spokesman Ryan Hanson. 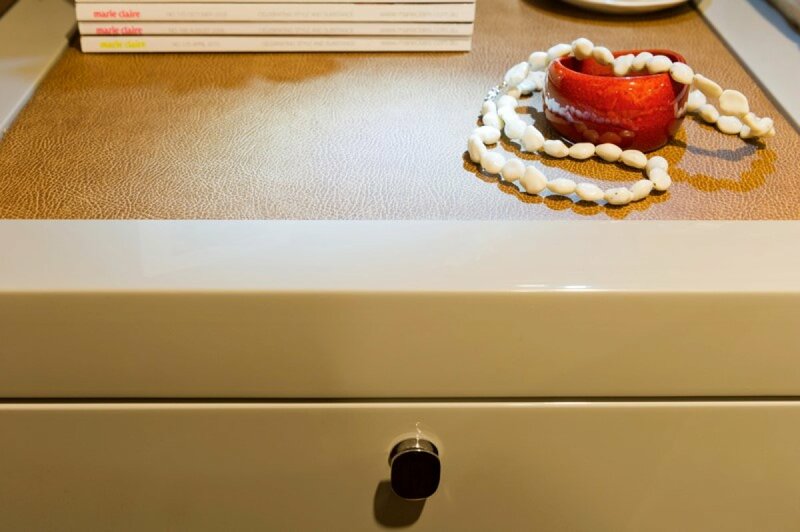 The bespoke Belize Motoryacht line is inspired by classic timeless style, incorporating traditionalism with Australian practicality. "An important aspect of the Belize belief system is a determination to source the best, no matter where in the world it exists, " Mr Hanson said. 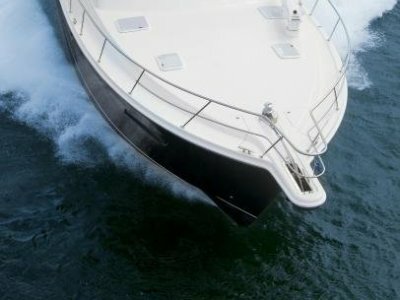 "The 21st century has seen a shift in boat building from northern Europe and north-eastern USA to East Asia, notably Taiwan where some of the world's best and most luxurious motor yachts are now built. " 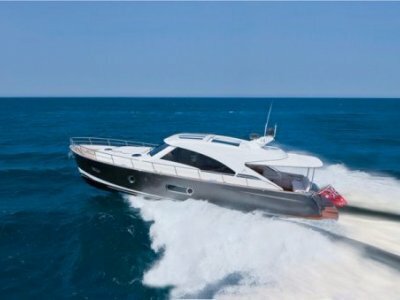 Highly regarded Taiwanese boat building yard, Kha Shing, have been carefully selected to build the superbly crafted Belize Motoryachts. Kha Shing have more than 35 years experience in building luxury vessels ranging in size from 45 feet to 185 feet, and are not only ISO certified and build to that quality management standard, but they also construct to a virtual alphabet of international maritime codes such as, CE Mark, RINA, BV (Bureau Veritas), DNV, MCA, ABYC and NSW Waterways. 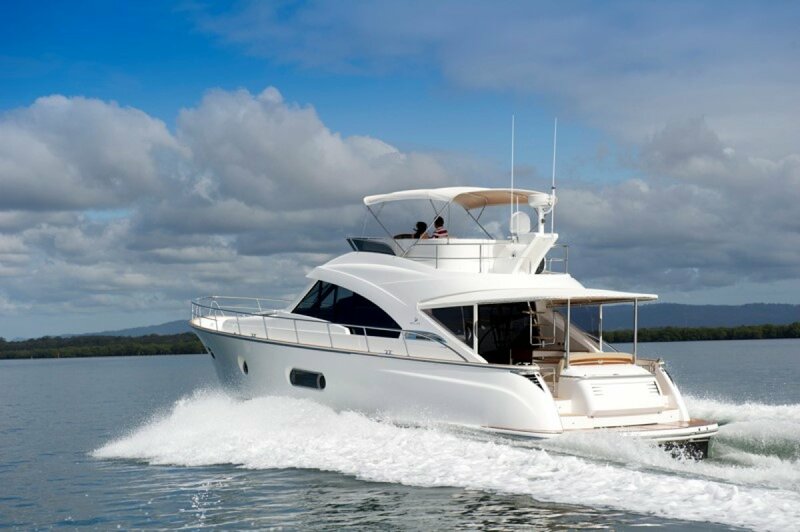 Such is the quality of a Belize Motoryacht and the confidence in the brand, a five year structural warranty is offered by Belize. 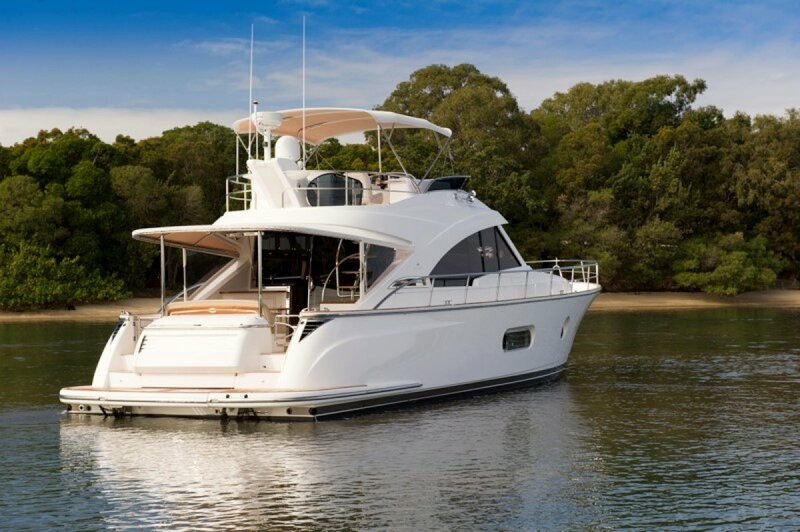 The new Belize 52 Daybridge is fully air-conditioned and features three cabins, including a full-beam master stateroom with ensuite and opening port lights on either side to provide cross ventilation. 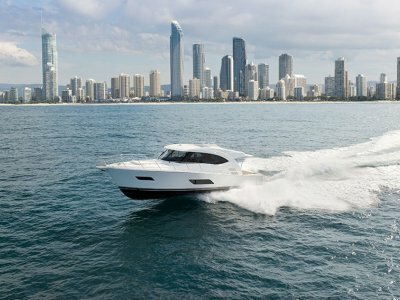 Given there will only be a limited number of Belize Motoryachts produced each year, Belize owners will possess a very different and unique boat. 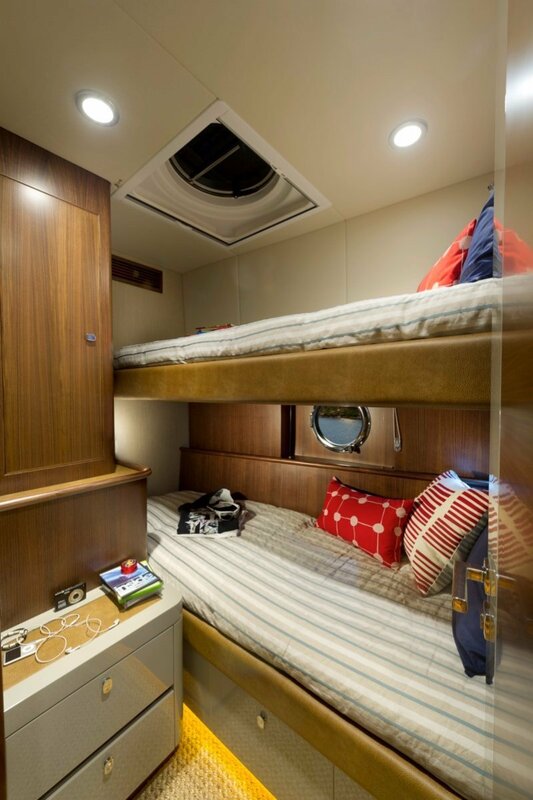 3, including a full-beam master stateroom with ensuite and opening port lights on either side to provide cross ventilation.